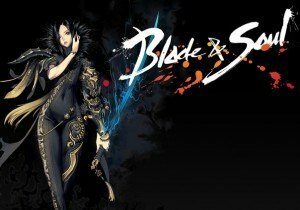 Blade & Soul in the West – What to Expect! At E3 2015 NCSoft revealed more details on Blade & Soul’s free-to-play business model for North America and Europe. Set in an Asian, mythological world, Blade & Soul has emerged as one of Asia’s top MMORPGs. Players in the US and Europe will get their first glimpse of the new Western version when closed beta begins later this fall. The free-to-play model will give players unrestricted access to all content within Blade & Soul. NCoin, a currency already used for NCSOFT games such as Aion and Lineage 2, will enable players to purchase things like convenience items (food and experience potions), quality of life improvements (such as inventory and character slots) and cosmetic items (such as costumes and pet accessories). Blade & Soul will also feature a special free currency that players will earn in game, enabling them to buy the same kinds of items available for NCoin, including costumes, accessories, food, potions and repair tools. Blade & Soul will also introduce a premium membership system that has been developed specifically for Western players. As long as players maintain an active membership, this premium service will provide quality-of-life benefits that get better as players progress through membership tiers. For example, the first tier of membership will provide players with cool special effects for their Windwalk skill and boosts to XP and currency drop rates. One thing this system will not provide is competitive advantage. Players will increase their membership tier as they make purchases (with both NCoin and the free currency) in game. After launch, Blade & Soul will provide regular content updates including additional classes, quests and story content. Pre-order packs will be available later this summer as digital-only purchases. More details on the pre-order packs will be revealed in the coming months. For more details about Blade & Soul and the information revealed so far check out the MMOHuts game profile HERE! SMITE Lore: Who is Ganesha? Riot Games has released details for its Darius patch in League of Legends. League of Angels is a new turn-based fantasy MMO that is fully playable in your browser.